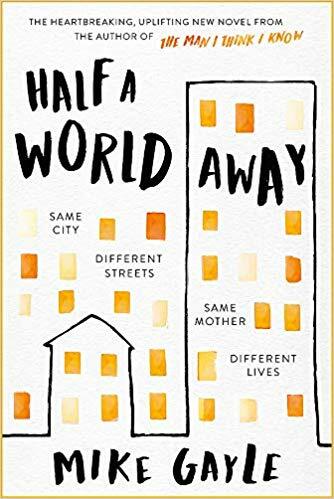 Mike Gayle has revealed his new book for 2019 called, ‘Half A World Way’. Kerry Hayes knows exactly who she is: a single mum, a cleaner and Mariah Carey’s biggest fan. Noah Martineau thinks he knows who he is: a successful barrister, with a wife, daughter and big house in Primrose Hill. Strangers with nothing in common. Sounds like anothe incredibly moving and uplifting new novel from the author of ‘The Man I Think I Know’. You can pre-order Half a World Away from Amazon and will be available from good bookshops from 13th June 2019. I’ve been extremely fortunate to have read some fantastic books this year, including some cracker debuts. 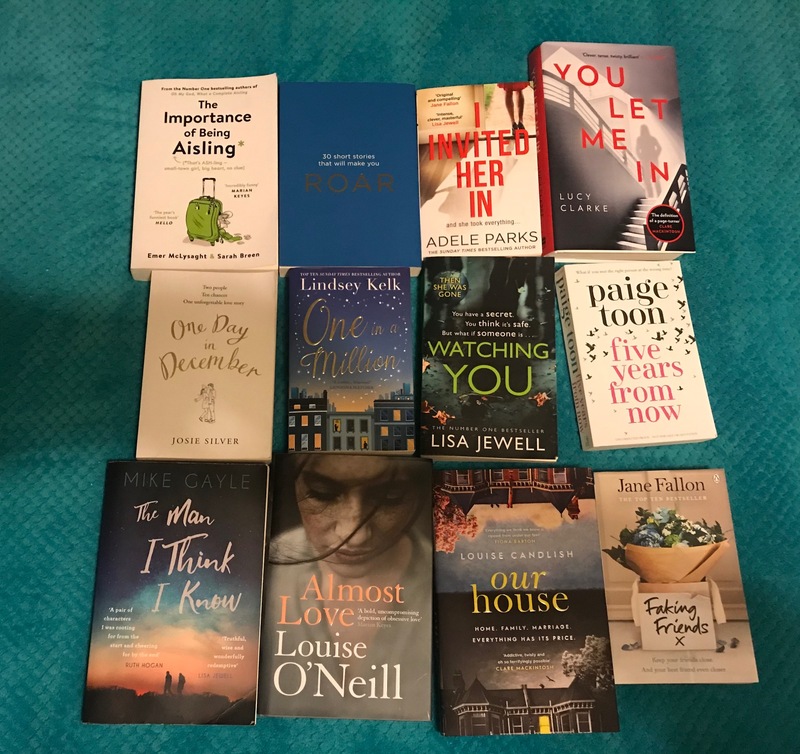 So if you’re looking for book inspiration for Christmas ideas for yourselves or for that special someone in your life, then I would highly recommend these books, as they made me laugh, cry and keep me on the edge of my seat throughout 2018. I’ve included my reviews of the books, to give you an idea of what I loved about them. ‘The Man I Think I Know’ is the latest book by Mike Gayle. Whatever happens to those kids at school who are always being tipped to be stars in adult life? Danny Morgan and James McManus – rivals for top honours in everything throughout their school years in Birmingham. Whatever their friends and teachers might have expected, neither Danny nor James is currently running the country. Depressed and unemployed, Danny is facing an ultimatum from his girlfriend Maya: if he doesn’t get out and get a job, she’s leaving. It was an accident that changed James’s life and now he is looked after affectionately by his parents. But his sister Martha believes that the role of full-time carers is destroying their lives – and infantilising her brother. She suggests that James should go into a respite home while her parents take a break. The respite home, as it turns out, where Danny has just got a job. What is the path that has brought these two people to this unexpected place, and where will it take them next? When it comes to stories of new beginnings, friendship and starting over, Mike Gayle is an absolute pro at this and in his latest book ‘The Man I Think I Know’, we meet two very different men who share an exceptional bond. Danny Allen is a gifted man who excelled at school, from a poor background, his family were so proud of him and thought he was going to make something of his life. But, tragically things don’t work out and Danny finds himself, unemployed, single and alone. Like Danny, James has an exciting future ahead of him but an accident rips him off of his independence and mentality and he finds himself struggling in life, wanting much more but unable to achieve it. Tried of his mother cutting up his dinner, he runs into Danny and remembers him from school and asks him to become his carer and help him take some of his life back. I loved this story, it’s a tender tale of friendship between two men trying to make better lives for each other but faced with struggles along the way. The story is cleverly seen through the narrative of both men and gives a great insight into their thoughts. Danny is a lovely man, he’s kind with a heart of gold but has faced so many problems, he’s become accustomed to failure and feels like he’s useless. But when he meets James, he gives him responsibility and a purpose. James is a smart and frustrated man, with once a bright future, he struggles to communicate with people and longs for the life that was cruelly taken away from him. Between the two of them, they form a strong bond, a need and a responsibility to help each other lead a happier and more fulfilling life. Their moments together are delightfully funny and tender as they share moments and help each other along. This is a beautifully written story about friendship and independence. Riddled with frustation, dermination and humour along the way, this book is a story of two broken souls who find solace and comfort in each other’s pain, but manage to come out the other side stronger and happier. A thoughtful and reflective tale about male friendships, their insecurities and heartbreak along the way. A wonderful story from start to finish. 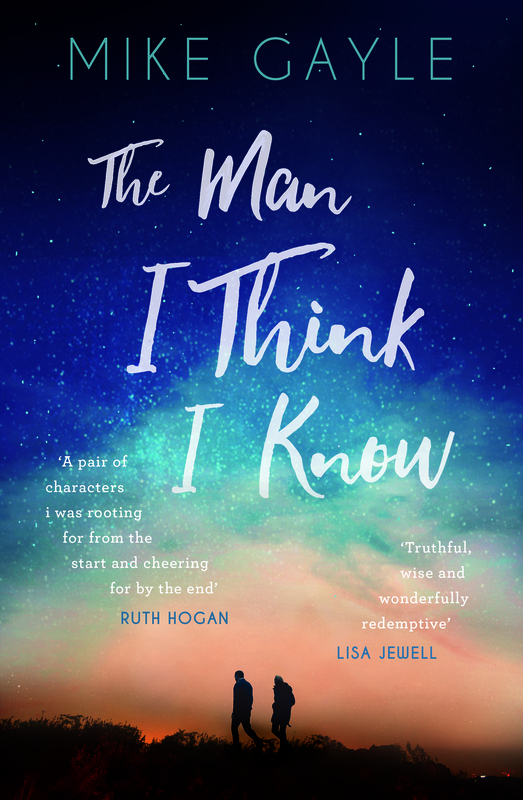 You can pre-order The Man I Think I Know from Amazon and will be available to buy from good bookshops from 19th April 2018. One of my favourite British authors, Mike Gayle is back with a new book in 2018 called ‘The Man I Think I Know’. Whatever happens to those kids at school who are always being tipped to be stars in adult life? Danny Morgan and James McManus – rivals for top honours in everything throughout their school years in Birmingham. Whatever their friends and teachers might have expected, neither Danny nor James is currently running the country. Depressed and unemployed, Danny is facing an ultimatum from his girlfriend Maya: if he doesn’t get out and get a job, she’s leaving. It was an accident that changed James’s life and now he is looked after affectionately by his parents. But his sister Martha believes that the role of full-time carers is destroying their lives – and infantilising her brother. She suggests that James should go into a respite home while her parents take a break. The respite home, as it turns out, where Danny has just got a job. What is the path that has brought these two people to this unexpected place, and where will it take them next? I’ve been so lucky to have received a proof copy of the book and I have spent the last couple of days reading this warm hearted story and I have to say that I am truly loving it so far. Tom Hope is broken. Ever since his wife Laura died he hasn’t been the same man, and definitely not the same father. Luckily for Tom his mother-in-law Linda is around to pick up the pieces and look after his two struggling daughters, Evie and Lola. But Tom getting arrested on the first anniversary of his wife’s death is the last straw for Linda. In a last bid attempt to make Tom reconnect with his daughters she takes drastic action and leaves for Australia. With two fast-maturing daughters Tom has to learn how to accept his responsibilities and navigate the newly discovered world of single fatherhood – starting immediately. With only himself to rely on, will Tom fall back into grief or finally step up and be the father his girls need? In Mike’s latest book, we meet Tom Hope, a man who’s heart is broken after his wife was tragically killed in a car accident. Overcome with grief and not wanting to face up to the truth, he throws himself into his work and leaves the care of his two daughters to his sympathetic and understanding mother in law, Linda. But as the time draws closer to the anniversary of Laura’s death, Linda decides that it’s time for her to start living and for Tom to act like a father to his daughters, who he has kept his distance from. Linda, decides to travel to Australia, to fulfil a life long dream of visiting one of her best friends and hopes that with this sudden break, Tom will step up to the plate and begin to behave like the father that he was before Laura died. The story is about two people who deal with grief differently, we have Linda who naturally steps into the role of mother, she looks after the two little girls and helps them understand as best they can why their mother is no longer around, she’s gentle and sweet and does everything with little or no complaint. Meanwhile Tom, can’t handle the thought of Laura not being around, he finds it difficult to express his emotions and finds it easier to work than spend time in the house and be surrounded by everything that reminds him of what used to be. With Linda’s sudden departure to Australia, Tom takes a break from work, to devote to getting to know his little girls all over game, this makes for sweet and tender reading as the small unit interact and tentatively get to know each other and deal with their combined grief and pain for the mother that was taken away. As Tom grows in strength, we see a man become more happier and confident in himself as he realises that he can cope as a single parent family and with new friends and relationships along the way, the future is a little bit brighter. Whilst on the other side of the world, Linda has to deal with having time to herself and looking after her needs instead of her family. A sensitively written story that made for poignant and bittersweet reading, Mike returns with a beautiful tale about starting over and putting ghosts to rest. 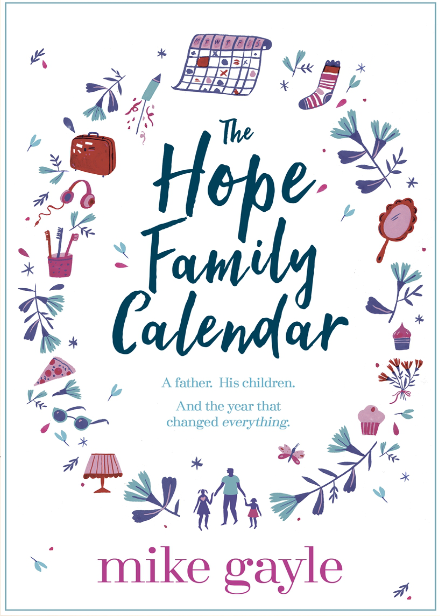 You can buy The Hope Family Calendar from Amazon and is available to buy from good bookshops.